Incorporated in 1965, the Ocean County College Foundation is a non-profit organization dedicated to the growth and development of the College through scholarships, endowments, and capital and special projects. 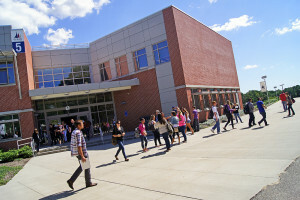 The Foundation works in partnership with the College to further its efforts to make higher education accessible to all Ocean County residents, to enhance the academic environment, and to continue to provide enrichment programs which have established Ocean County College as a cultural, recreational, and learning center in Ocean County. Since its inception, scholarships have been the main focus for the Foundation. Each year, the costs of college tuition, books, supplies, and general expenses are increasing across the United States. Despite Ocean County College’s best effort to contain costs, many students still have a tremendous need for financial assistance. It is the Foundation’s goal to help ensure bright futures not only for OCC students but for Ocean County, as well. In that spirit, the Foundation has raised and distributed millions of dollars in scholarship support in the last fifty years. Last year alone, it distributed over $500,000 to support deserving Ocean County College students. Ocean County College students should visit go.ocean.edu/scholarships to learn more about scholarship opportunities and to apply online. In addition to scholarships, the Foundation supports the students and campus community in many other ways. They provide funding for travel learn opportunities both in the United States and abroad, they support athletic training opportunities, they provide support for educational and arts related opportunities on campus, and so much more! OCC also partners with local non-profits, such as Big Brothers Big Sisters of Ocean County and Ocean Inc. to provide their constituents with the OCC experience.